Journalist Ann O'Loughlin bounded on to the popular fiction scene in 2015 when her debut novel, The Ballroom Cafe, became an Amazon bestselling ebook with 150,000 copies sold in the first three months alone. The charming tale of two elderly sisters who only communicate via notes left scattered throughout their crumbling mansion (and a sub-plot of forced adoption in Ireland), was a runaway success and was followed by The Judge's Wife and The Ludlow Ladies' Society. O'Loughlin has become a firm favourite with readers and her latest offering once again uses a beautiful period home as the backdrop for a bigger narrative. 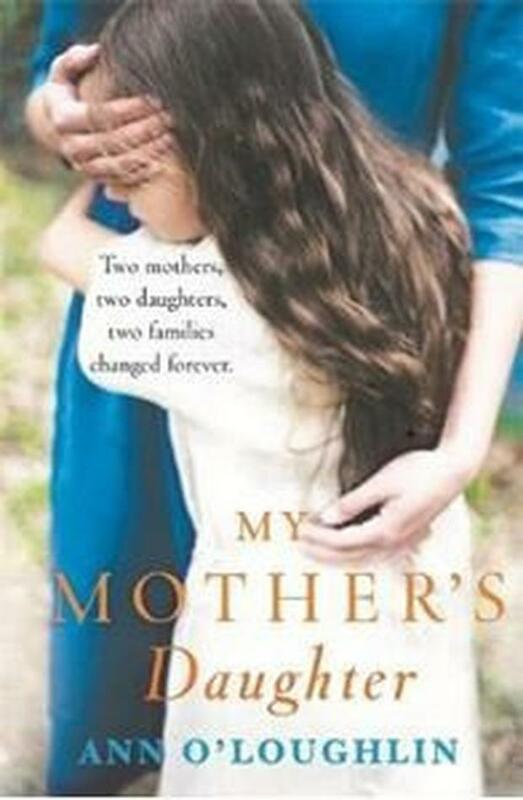 My Mother's Daughter is a story of two women, two daughters and a life-changing letter. Margo has just buried her husband and is wondering how herself and her 12-year-old daughter, Elsa, are going to live without him. Living in a large country house in Wicklow had seemed idyllic when Conor was alive and before the bombshell had arrived in the post: "Margo sighed to think of the days when living at Rathmoney House was easy; the three of them on a big adventure together. Now they were a man down, and they would never savour that carefree time again, not now, especially after the arrival of the letter." Across the Atlantic, Cassie is reeling from the bitter departure of her husband and wonders how she will manage to hold it all together for the sake of her daughter, Tilly. The divorce is shaping up to be nasty, with Charles moving to a new city and demanding paternity tests in the hope he can avoid child-maintenance payments. For both women, things are about to get worse. Unaware of their connection, Margo and Cassie are about to embark on a heartbreaking journey and will do anything to protect their daughters. My Mother's Daughter is a novel with friendship at its core. Based on actual events, where human error resulted in a baby switch in a French hospital, it addresses the nature vs nurture debate. A warm and gentle read.